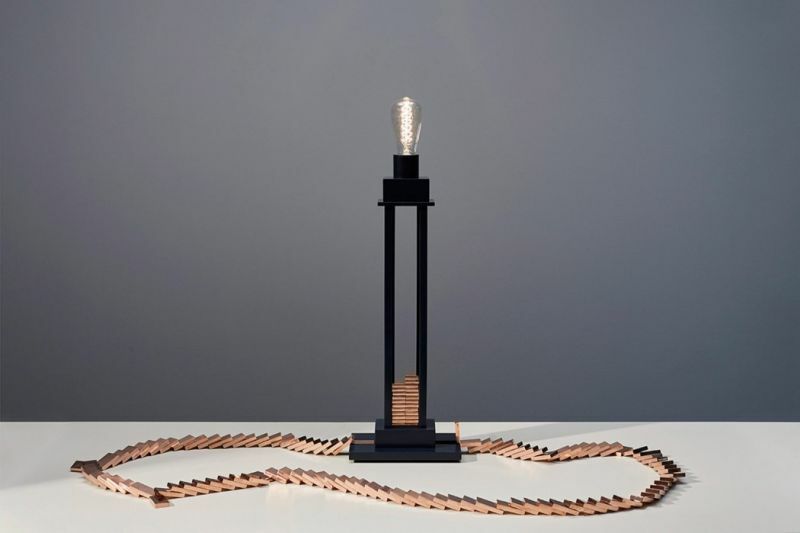 British designer Tim Simpson and Dutch designer Sarah van Gameren of Studio Glithero have come up the Domino table lamp. 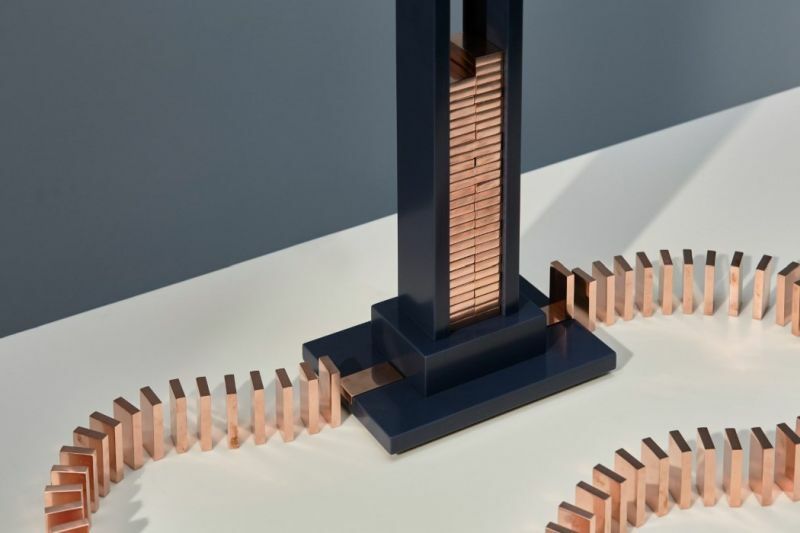 Made from HI-MACS in dark night and copper, it is a unique table lamp that‘s switched on using a rally of conductive copper dominos. 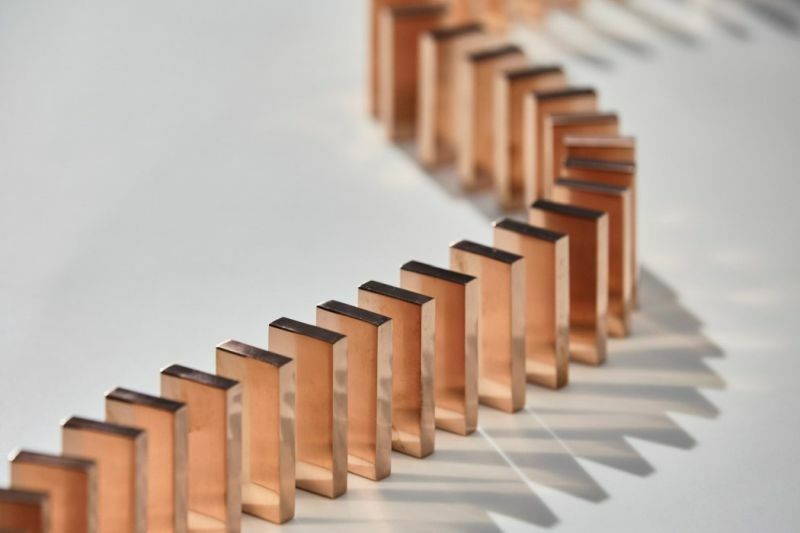 With so much technology around us in our daily lives it is easy to take for granted that even simple things such as turning on a light are made possible by the physical properties of materials. One needs to arrange the provided dominos in any configuration as long as the rally starts and finishes at the base of the light. 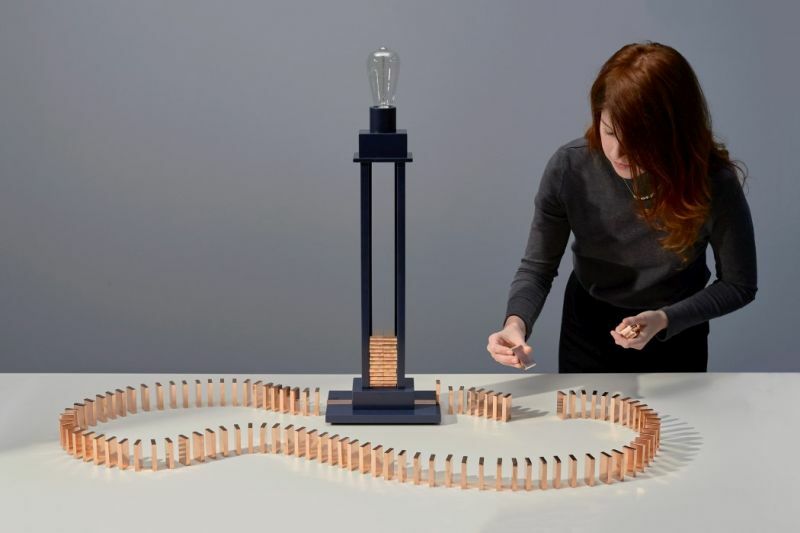 As you topple off the first domino, it subsequently topples off other dominos to complete the electrical circuit, resulting in turning on the light. There is a ‘rocker’ domino in the base of the lamp to start the rally and a ‘receiver’ domino to mark where it finishes. Within the Domino light, there’s space to store dominos that are not in use. The Domino light was on display during the London Design Festival, at the “Re-Considering Canon” exhibition. It is really fun to topple off dominos and see the classic Edison bulb light up.